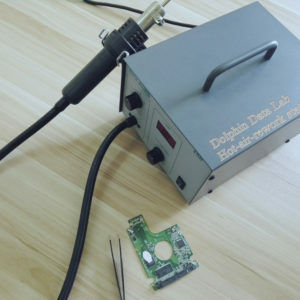 To enhance the communication efficiency and meet more clients’ demands more directly in data recovery field, Dolphin Data Lab releases this Data Recovery Start-up Suite. 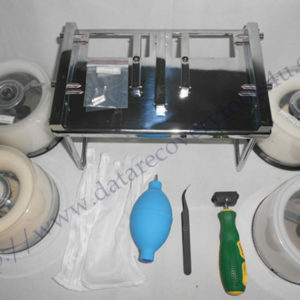 To start a data recovery business, the most important is not the tools, but the knowledge to use the tools and understand different patient drives, Dolphin Data Lab released the data recovery training u-disk which is quite necessary for starters. HDD Head Combs Pro and Head and Platter Swap Pro: used for disassembling the hard drives, uninstalling and installing the heads, separating the heads and swap the heads securely. 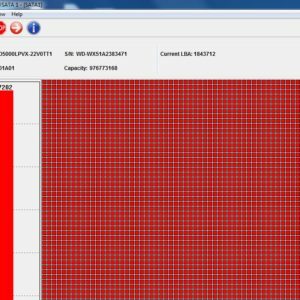 These two tools are recommended because it’s necessary for users to look inside the hard drives, study the physical components and learn how each of them works. Besides, if users are serious in data recovery business, it takes a lot of time to practice and practice on fixing different cases and therefore users need to practice from the very beginning. The more you practice, the more cases you are able to handle. To start a data recovery business or to start a data recovery sector in your organization, the starters must be guided properly. Not all data recovery tools require training to use for recovering data but it’s not whoever who have the tools can get the data back. It takes time and patience to study the failures, find out the correct solutions the tools offer and practice fixing them. 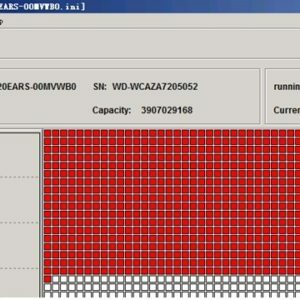 Data Recovery is one serious art, users need to learn the functions of the tools you selected and understand what operations might destroy the data and what operations can really help to recover the data. Dolphin Data Lab has developed and combined both standard and innovative data recovery technologies and offered them to hundreds of IT companies and IT sectors in different organizations such as enterprise IT sectors, government IT sectors and law enforcement agencies and now with all these experience, we are offering this start-up suite with confidence. Minimize the start-up investment and risk for real working tools and functions: with this data recovery start-up suite, users can not only practice on different hdd repair and data recovery cases, but also learn and improve and recover data and set up more confidence in this field. How To Buy Data Recovery Start-up Suite from Dolphin Data Lab? i am interest in data recovery tools.so pls give quote & details for ur products..
Hello Nana, Our sales manager is contacting you soon, please check your email, thank you for your feedback. 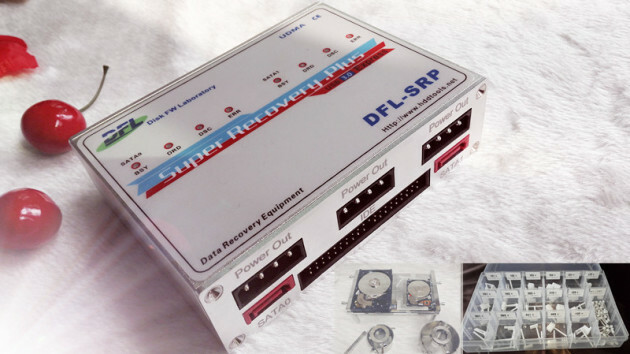 Hello Sir, thank you for your interest in DFL data recovery tools and pls check your email for detailed reply. Hi i am interested in starting with data recovery services, please quote me on the equipment I need as a beginner. Hello Christoffer, we have replied you with suggestion, pls check your email, thank you. I have plan to start data recovery business. So please quote me on the equipment I need as a beginner. Hello Zain, thank you for your comments and interest and our sales manager is contacting you by email, please check your email for detailed reply, thank you. I’m Interested in starting a data recovery company. Please quote me on the equipment I need as a beginner (hardware and software) and tutorial. Thank you. Hello Vishaal, our sales manager is contacting you soon. Thank you for your comment. I’m interesting to open data recovery service. First time to buy. Hard firmware tools only. After few month later to buy hard head replacement tool. Send me price list, full datasheet. Hello Sir, Our sales manager has replied to you by email, please check your email for detailed quote. Thank you. Hello Friend, We have arranged the sales manager to answer you in details. Hello Sir, Please check your email and we have quoted to you with details. Merhaba Efendim, biz bir veri kurtarma merkezi kurmak için size detaylı tırnak e-posta adres e-postanızı kontrol edin. would you please send me price on this start up suite. Hello Friend, thank you for your comment and interest in Dolphin data recovery tools and please check your email and you will get detailed quote. oi tenho interesse em saber os preÇos seus dispostivos sao otimos moro em fortaleza – ceara – brasil como posso adquirir seus produtos? hi I’m interested in knowing their prices are great products. i live in Fortaleza – Ceara – Brazil how can I buy your products? 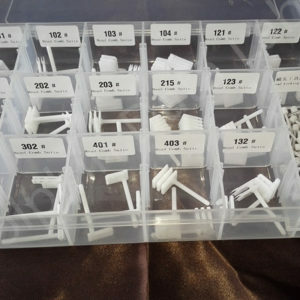 We are shipping our tools worldwide by DHL express or some preferred shipping methods by users. Please check your email for product prices. Por favor, consultar su correo electrónico y le hemos dado respuesta detallada incluyendo nuestra hoja de datos y cotización. También se puede encontrar en el archivo adjunto nuestro catálogo de productos con todos nuestros datos de precios. I’m interest on your product. Can you send me a quote for the recovery tool. Did you have any tool for Flash Drive or usb thumb drive recovery tool? We have emailed you details on the start-up suite, I am sorry we don’t have special tool for flash drives but soon in the near future. Please provide me the price of DFL DR PRO 3.0 . Please check your email and you will find price details and special offer during March 23-31. Hello all, Dolphin Data lab has updated this startup package with our latest data recovery hardware and software technologies and this will help all users further for achieving great success in data recovery. Please check your email for price details or you can contact our reseller in India for more localized support if you wish. Hello Simba, we have discussed by email for several times and if you have further questions, pls feel free to contact us.